Enter our contest and visit us in June! June on The Maggies ! The month of June is synonym of flavors and gourmet treats on the Îles de la Madeleine. Enter the now traditional Spring contest of Tourisme Îles de la Madeleine for a chance to travel to The Maggies on the wings of Pascan Aviation from your favorite destination! Enjoy your stay next to the historic site of La Grave and get the chance to enjoy the archipelago through several visits to our producers and restaurants. A pound of coffee from the Brûlerie de café des Îles de la Madeleine. The International Festival of Films on Art embraces multiple forms of creativity. Dance and theatre festival that builds bridges between local and international talent. A foray into the great Aztec civilization through hundreds of artifacts. Exhibition presenting 200 masterpieces created by legendary French sculptor Rodin. With this freezing cold, the Château Madelinot warms up! 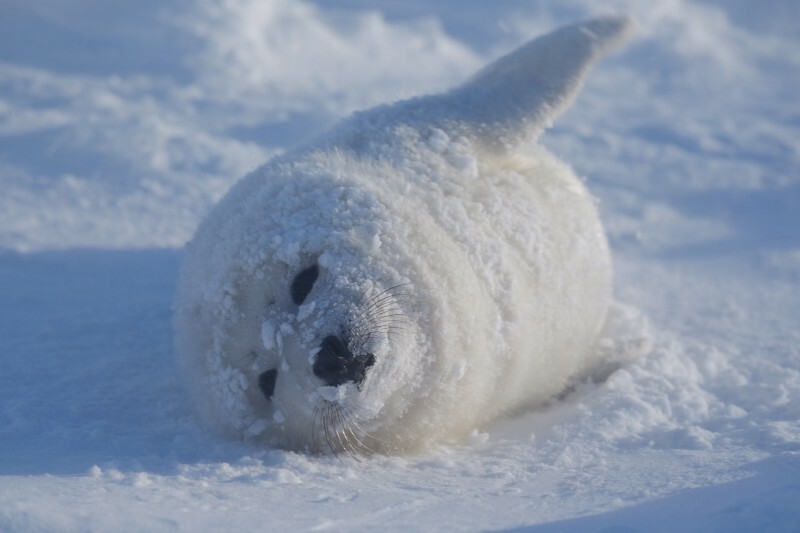 The wintry conditions of the past weeks will hopefully bring us a good harp seal observation season scheduled from February 26 to March 12, 2015. Every February, the Chateau Madelinot team feverishly prepares to greet its many visitors. It is with pride that our enterprise exploits and commercializes this ecotourism activity for more than 30 years. Again this year, people will be coming from very far to live this unique experience: Japan, China, New Caledonia, Israel, Australia, Germany, Italy, and France. We are witnessing an increase of reservations from recent past years: the Management explains this increase from the feedback of an excellent 2014 season. 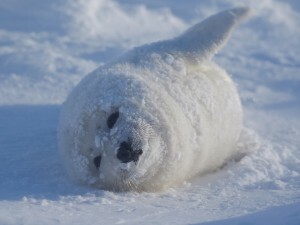 Obviously, the show “L’Été Indien” co-animated by Julie Snyder and Michel Drucker has given an impressing visibility to the Destination Iles de la Madeleine, but also to the winter product, the harp seal observation. As well, a delegation of six important travel agents from France, Germany and the United Kingdom will come experience for 3 days the harp seal experience which also includes a guided visit of the Islands, as well as snowshoeing, cross country skiing, sunset photographing and other outdoor activities as well. This famtrip is anchored with the commercial project package which includes the Ice Hotel. Joining our team again is the Japanese interpreter Mayumi as well as the well renowned Japanese photographer Rei Ohara who have become, with time, real Madelinots of adoption! The Hotels Accents are proud to participate in the winter tourist development of the destination and to contribute to the economical life of the archipelago during a period of the year generally considered quiet, says the general manager, Mr Gino Thorne.